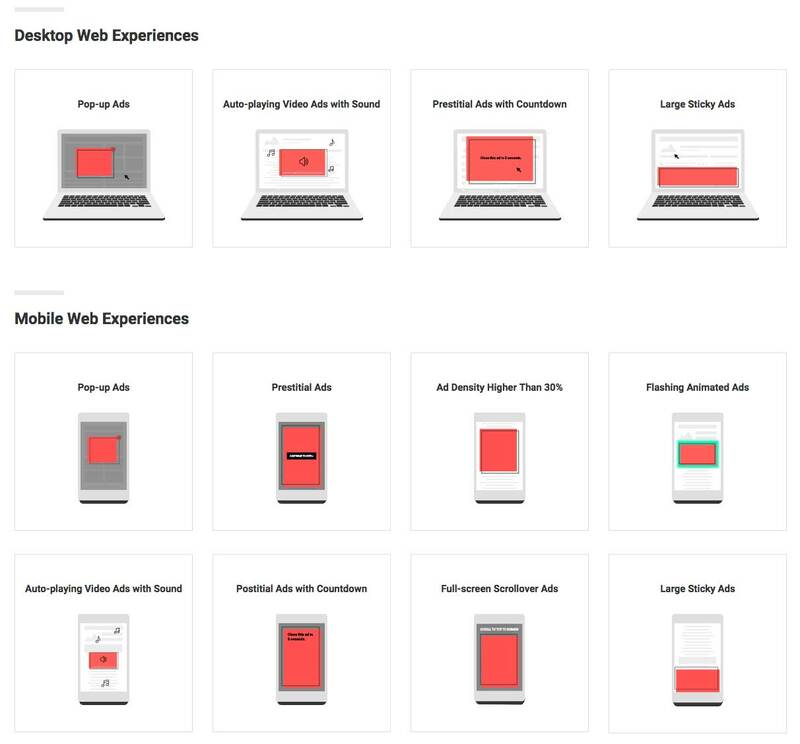 Google is now part of the Coalition For Better Ads. This Coalition is committed to providing a better experience when browsing the internet on mobile and desktop. Starting February 15, 2018, the following criteria will be guidelines for websites. If these standards will not be applied, Google will block any advertising on the concerned website, even Google Adsense! Google wants to address the current Ad abuse on many cheap marketing websites. 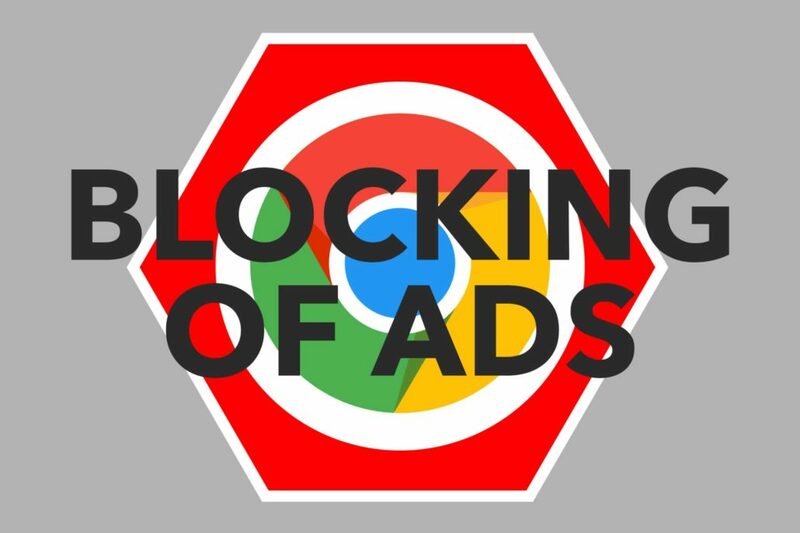 Violating the rules in a single Ad might result in a warning but if websites keep ignoring violations and warnings, Ads on the entire site will be blocked but there will also be ways to clean up and provide Ads accepted by the specification to satisfy Google and remove the Ad ban on the website. Google mentions site owners can submit their site for re-review when violations got fixed. Details are provided in the Ad Experience Report. Personally, I appreciate this trend of making the web a nicer place without websites, overloaded with popping ads. I am no fan of tricking people into products but I also recognize it is getting harder to get the clients attention in the advertising jungle. In 2009 Google banned the rich-quick industry. Lately, I experienced a high penetration of Crypto Ads all over the web and I am glad, Facebook took first actions to stop this trend. In 2018 the trend is clearly moving to content. 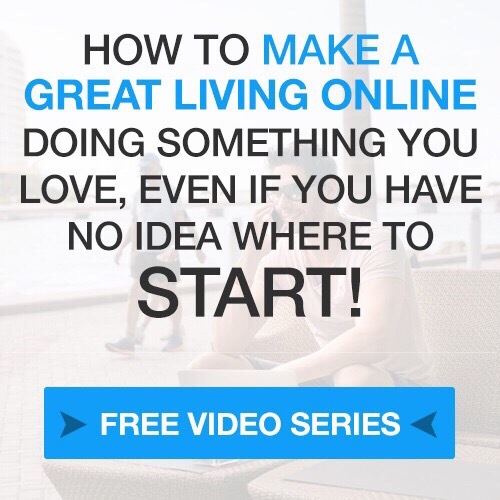 The web is an incredible place for marketing and there is still great potential for any good product to be sold in the online space. As a marketer, you need to create content, connecting with your possible clients, without trying to trick them. Get the in-depth knowledge and constant industry updates of digital marketing trends through an education with SFM. My websites are not overloaded with Ads as I am convinced of the value of a healthy user experience! Youtube Changing Their Partnership Program How can you Profit from Automation?